The Vampyrum is a highly mobile, low-altitude, short-range tactical surface-to-air missile system, armed with 4 Bat-Teeth missiles, can efficient engage mostly aircraft and Skimmer vehicles. Vapyrum have a complex radar system, include a Target Acquisition Radar, a Target Tracking Radar, a Identification Friend or Foe(IFF) Aerial, and two Fire Control Radars. 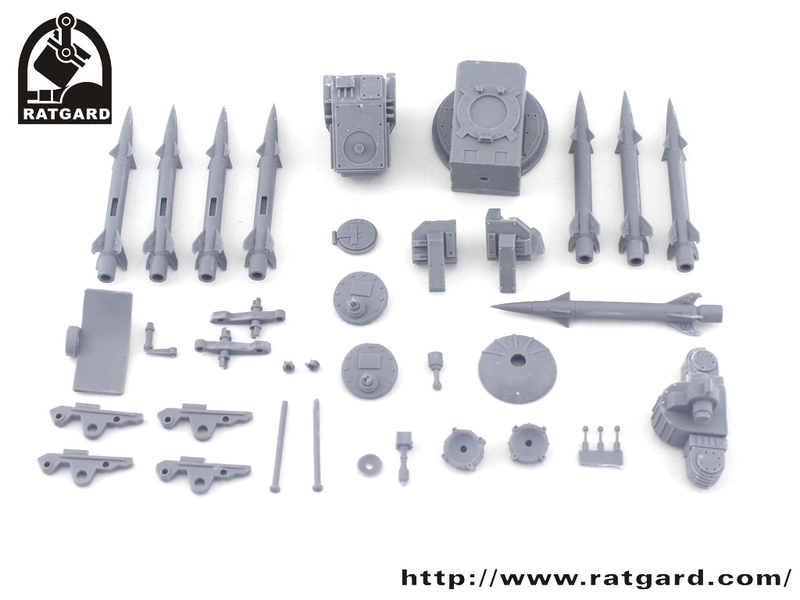 All these equipment are fitted on one transport vehicle, such as Imperial Guard Chimera Chassis. 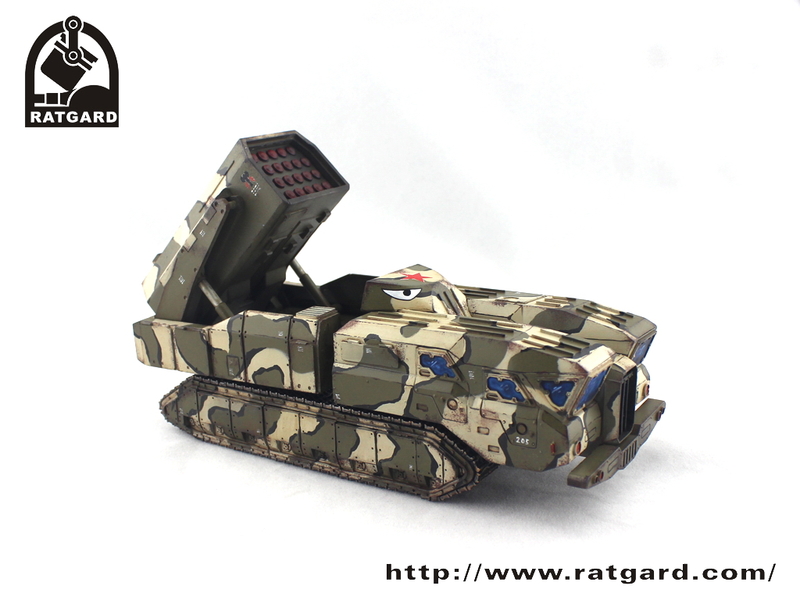 Thanks the all-in-one transporter erector launcher and radar (TELAR) vehicles, the Vampyrum have the ability to independent combat, or combine with Hedgehog AA-gun, Early warning radar and Command vehicle to Tiberis Air Defense System. This kit include a set of Vampyrum SAM system. Total 41pcs resin kits. This set is 48$, shipping to the worldwide, if have any question you can contact me with ratgard@gmail.com. ———-Guided missile:Re-roll failed to hit, Vampyrum have 2 Fire Control Radars, so it can fire 2 Bat-Teeth missiles in one shooting phase as normal, even the Ordnance weapon, and may fire to 2 different targets if you wish. 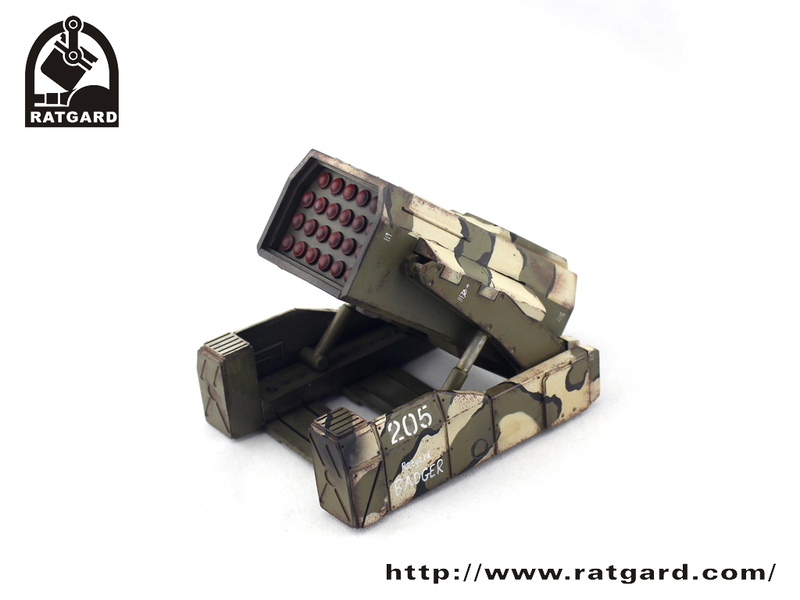 ———-Radar(Lv1): This model can be shotted by SEAD weapon. Add Level to BS when use Skyfire weapon. When shot a target with ECM(*) rule, both roll a D6 and add the Level. If Radar is higer or tie, it hit as normal, if ECM is higher, it only can make Snap Shots. -Options:-May include up to two additional Vampyrum with 90pts/model. ———-Any Vampyrum may take items from the Vehicle Equipment list. ———-Any Vampyrum may replace its heavy MG with a heavy flamer with free. 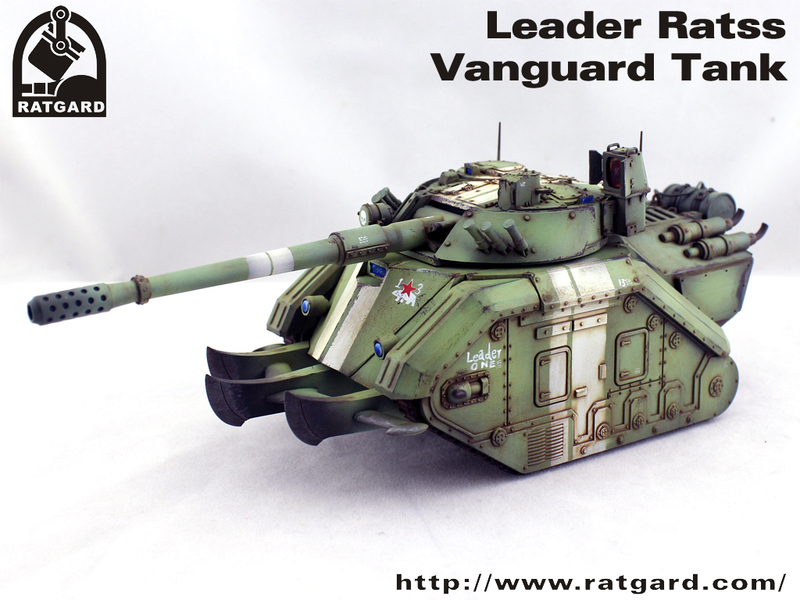 -Organization: Vampyrum is a Heavy Support in IG army. ———-Reloading: if a Vampyrum out of ammo and in contact with a Crago-RAT Heavy Carrier in start of your shooting phase, the Vampyrum can reload its Bat-Teeth missiles instead of shooting and Falt Out, and it can fire as normal in your next shooting phase. As a long range suppressive weapon, MLRS-Badger have 23 rocket tubes, can launch varieties war-heads for different mission. 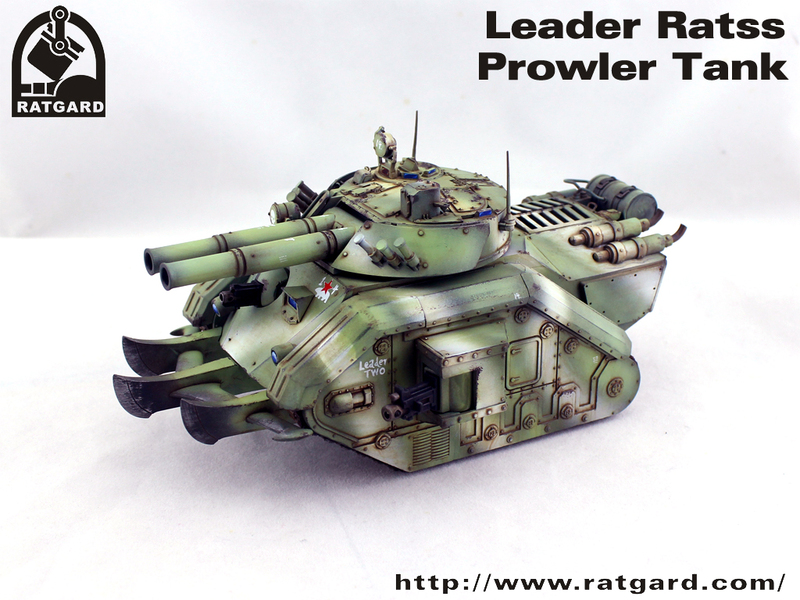 You can use it as Imperial Guard Manticore Rocket Launcher, or use our house-rule as follows. 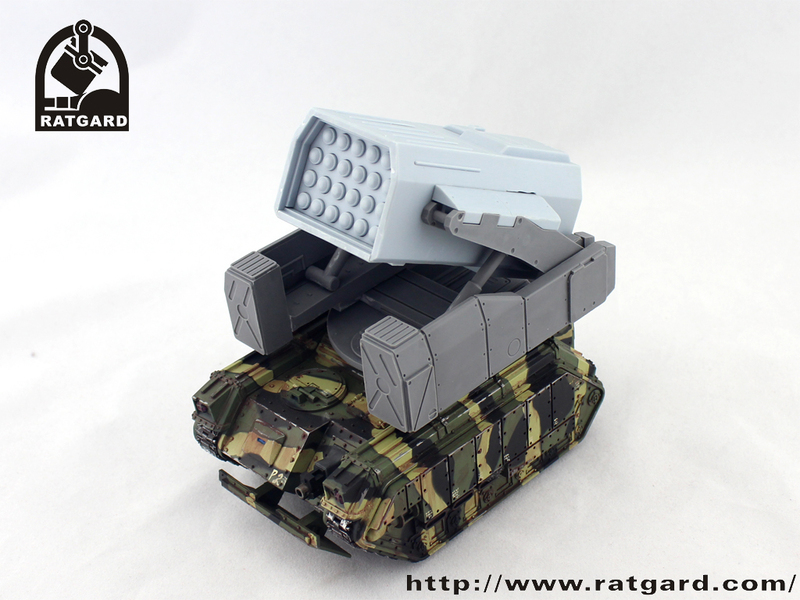 The MLRS-Badger-RAT set is 68$, include a MLRS-Badger set and a 3X3 R.A.T. *note: recommend for master modeler. 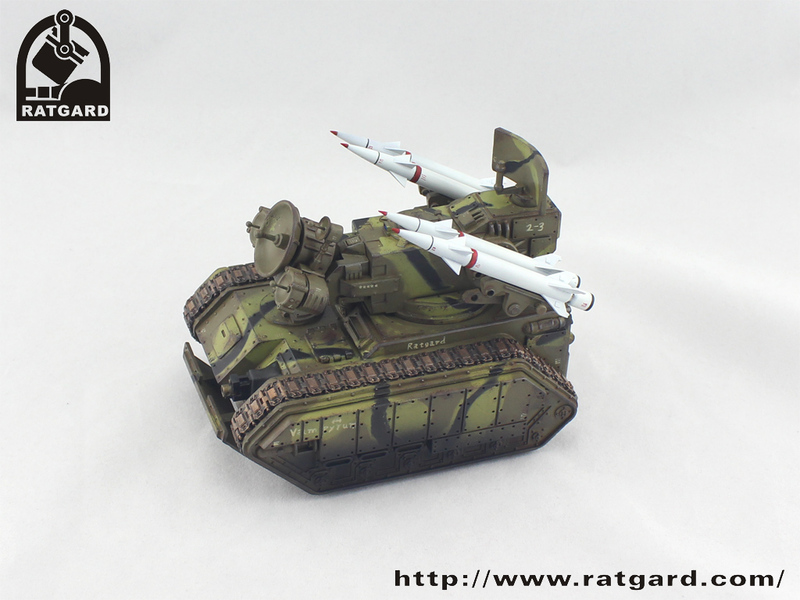 ———–Reloading: if a Badger-RAT MLRS out of ammo and in contact with a Crago-RAT Heavy Carrier in start of your shooting phase, the Badger-RAT MLRS can reload its multiple launch rocket instead of shooting and Falt Out, and it can fire as normal in your next shooting phase. One Crago-RAT can only reloading one times in pre game. 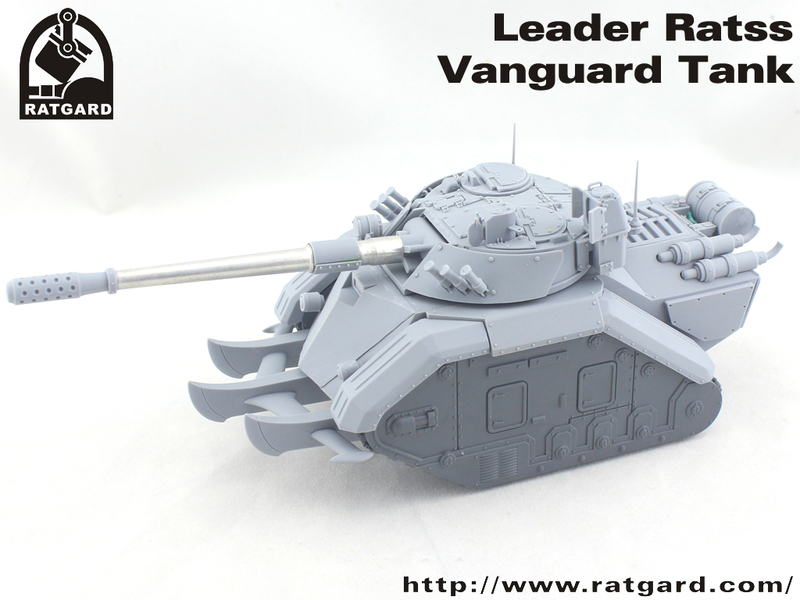 —Options: May include up to two additional Badger-RAT with 140pts/model. —You can replace HE heads with Cluster heads or FAE heads for free. 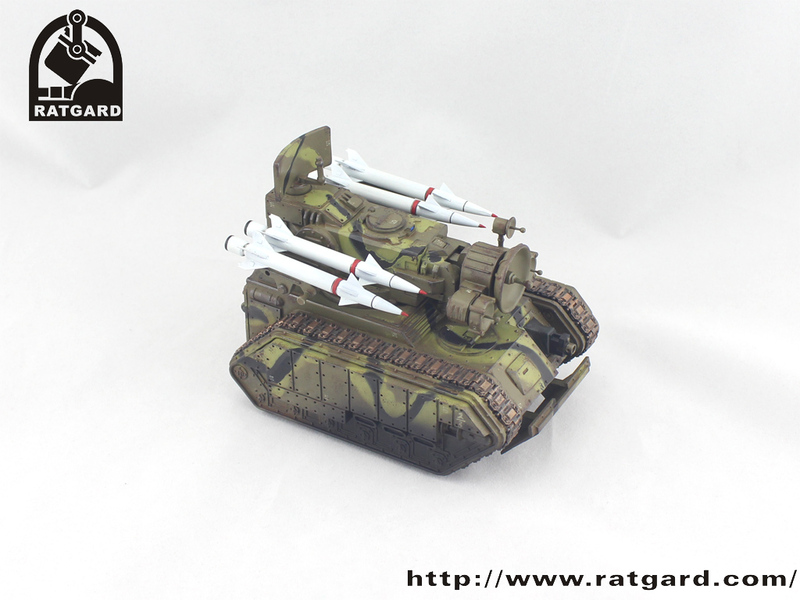 —Organization: Badger-RAT is a Heavy Support in IG army. —–FAE: Range 36-72, S5 AP4, Heavy D3+3, One use only, Barrage, Large Blast, Ignores Cover, The place under Blast count as dangerous terrain until your next round. Badger Multiple Launch Rocket System is a long range suppressive weapon, can launch 23 rockets in short time. 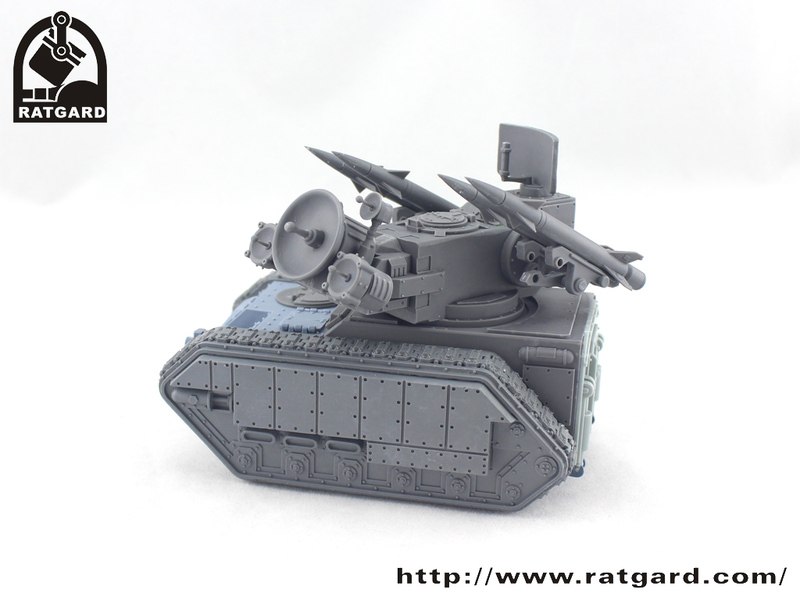 This model will include a MLRS-Badger and/or a 3×3 RAT chassis. 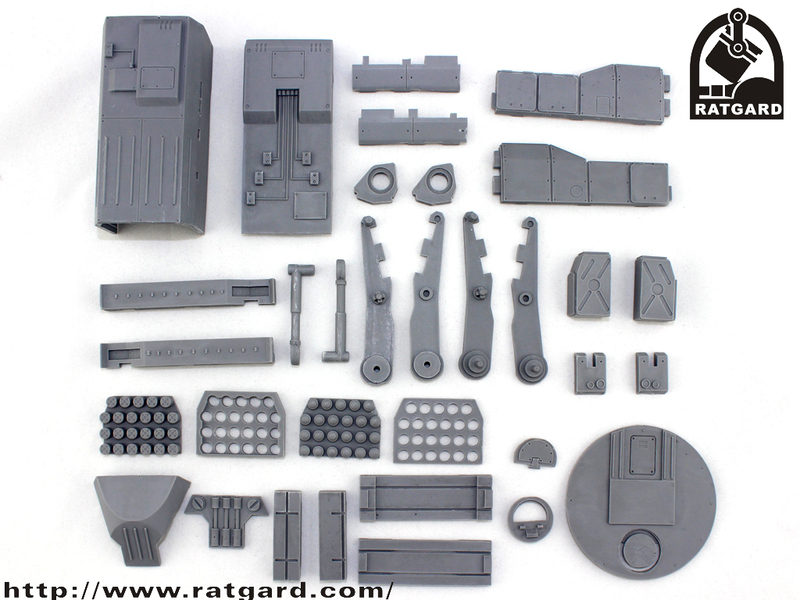 The Badger kits have 33 parts, will be availeble on Ratgard.com in early October. Ratshilovitz is a mid-sized tractor, derived from the Remodulelizable All Terrain vehicle (RAT). 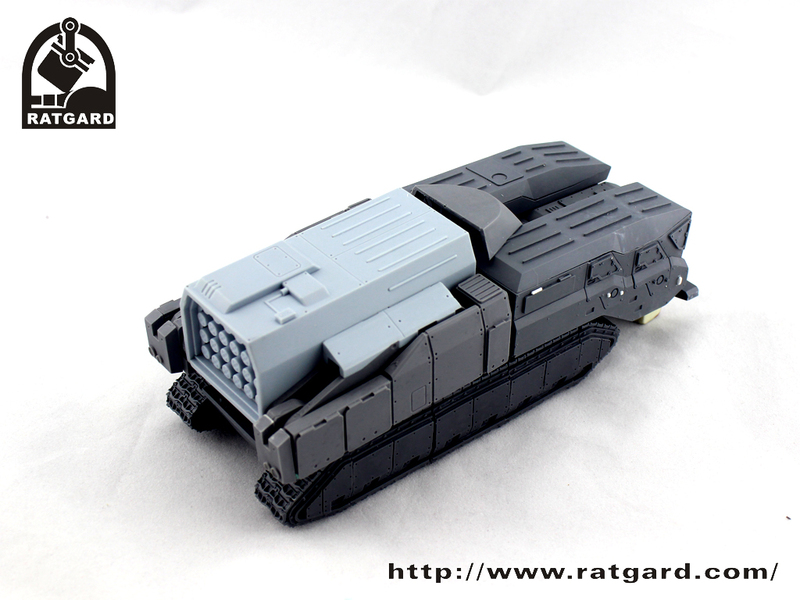 It has a low-powered version of the Cargo-R.A.T Heavy Carrier engine. The tractor is quite powerful and has excellent off-road capacity, and can utilize a variety of fuels of different qualities. In peace times it can serve as an agricultural or construction vehicle. 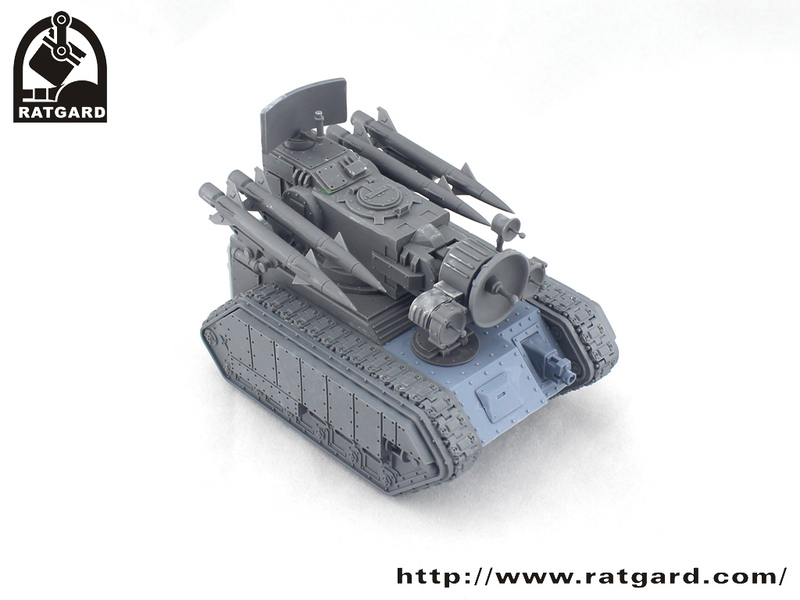 In war times it can serve as an artillery tractor in the Imperial Guard. 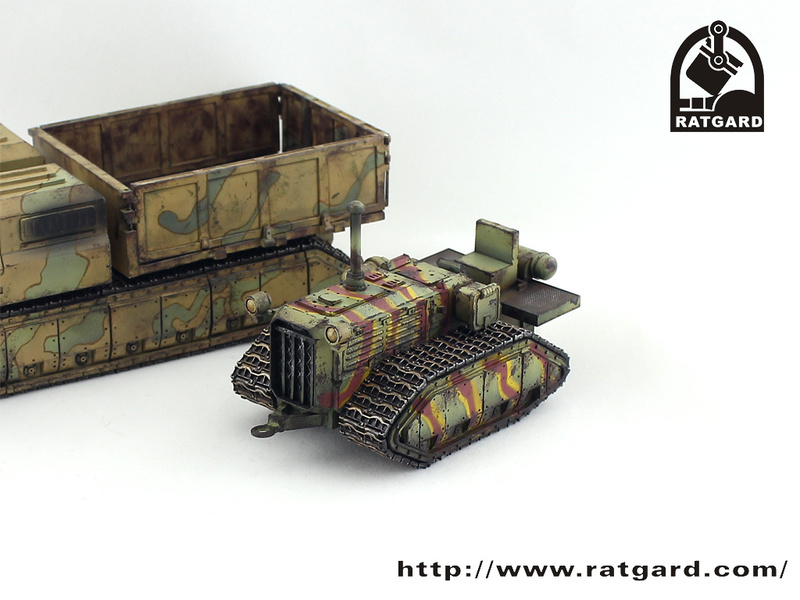 This complete kit include a set of Ratshilovitz Tractor. Total 42pcs resin kits. 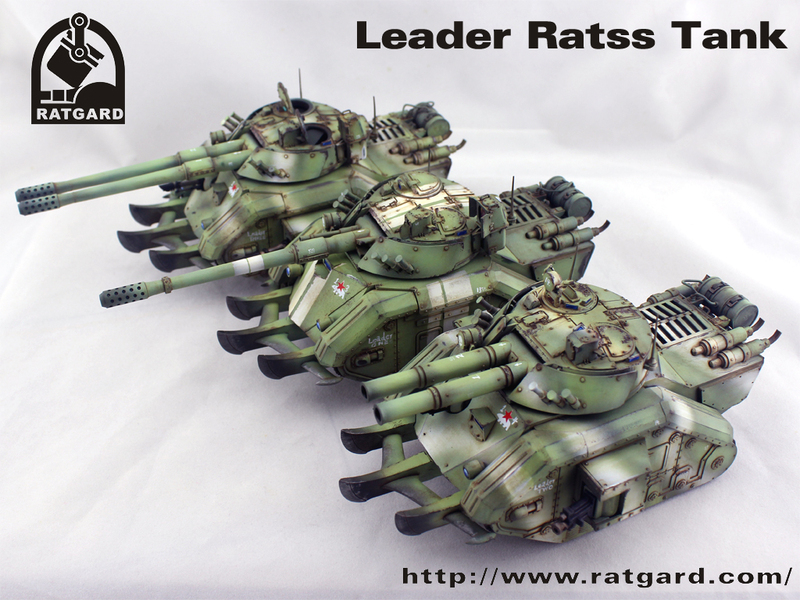 This set is 38$, shipping to the worldwide, if have any question you can contact me with ratgard@gmail.com. 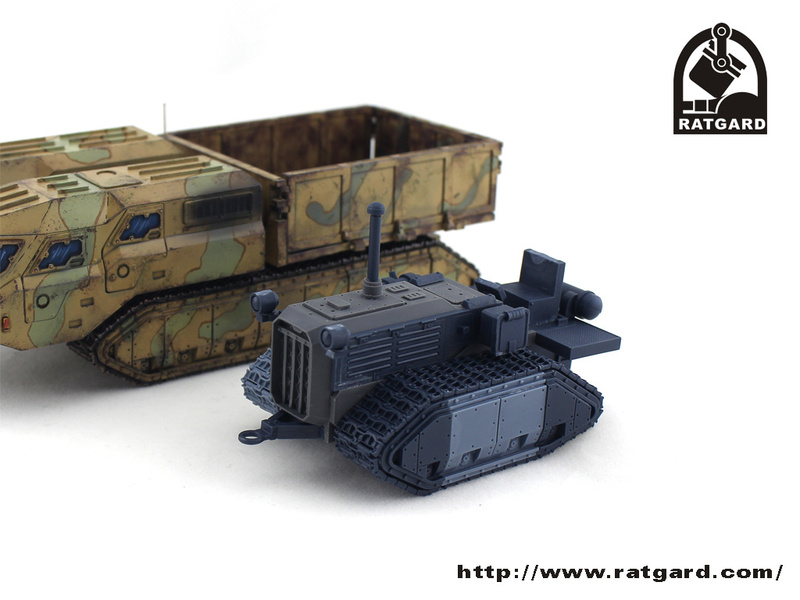 Organization: For each Artillery type model in your army (even not humen`s), you can choice one Ratshilovitz Tractor as a dedicated transport.
. 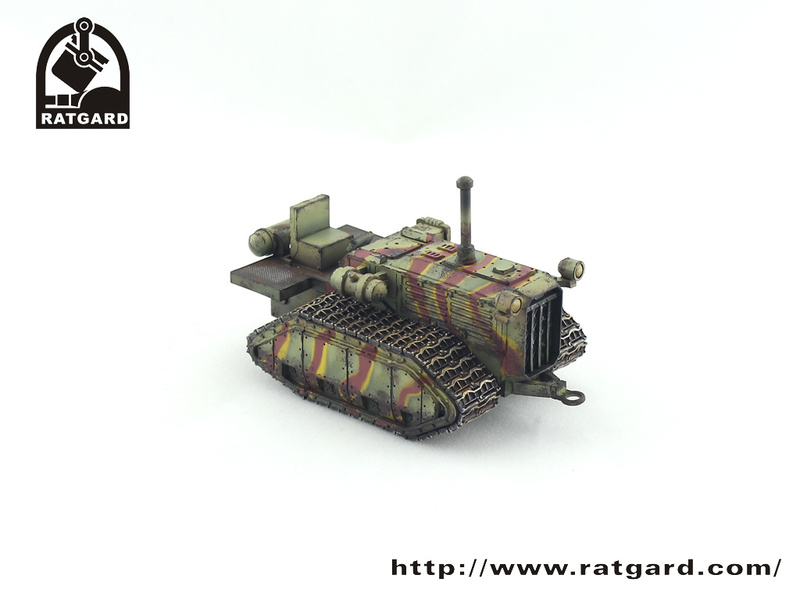 The model includes an 1×1 RAT chassis,total 48 resin parts, and will be availeble for sale soon on the ratgard.com. 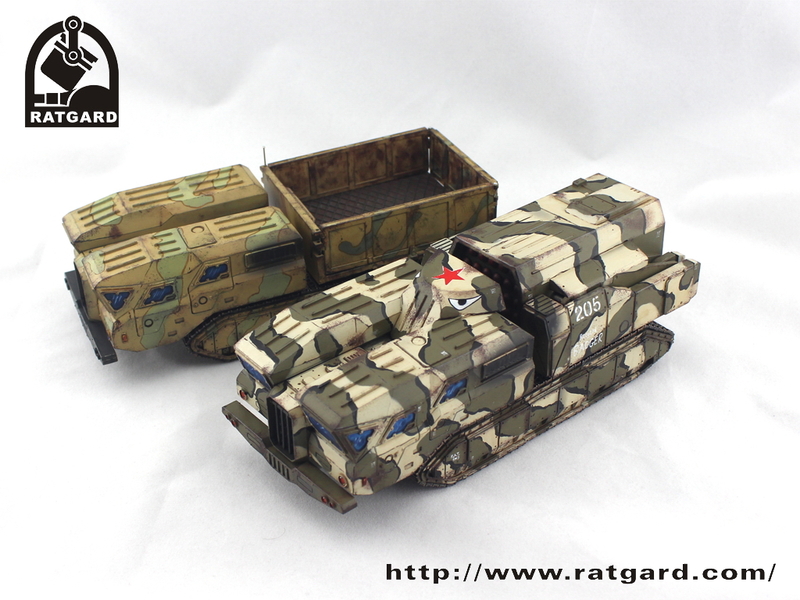 Futhermore, based on feedbacks on the CargoRat, Ratgard has updated RAT chassis. 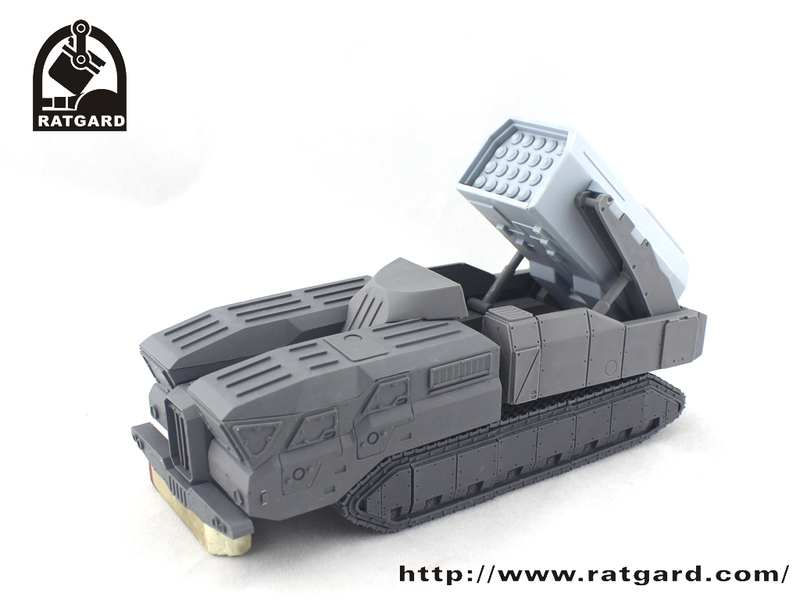 The new RAT Ob.2014 chassis is much lighter and easier to assemble. It will be available for sale together with the Ratshilovitz Tractor. 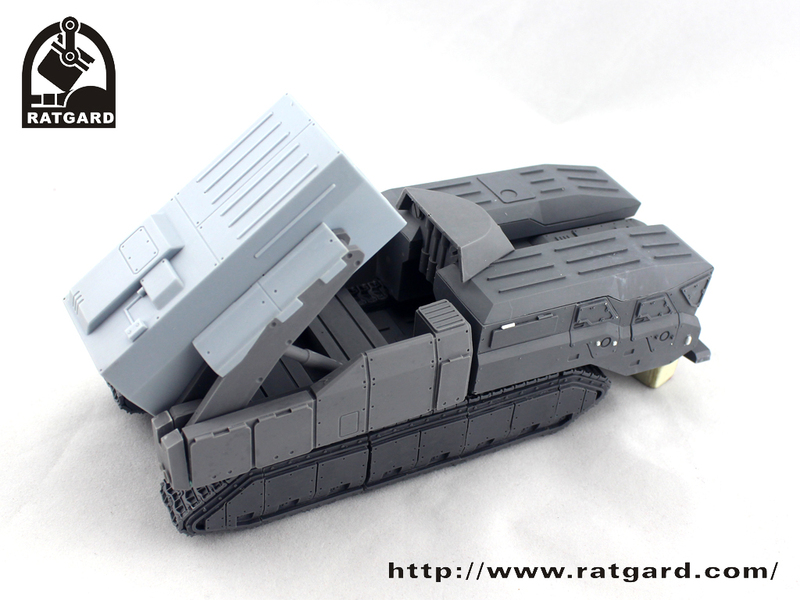 At that time the chassis of CargoRat will be upgraded to RAT Ob.2014 as well. The RAT does the rating really not easy. The design of the model is amazing and the processing in general, despite all the problems very neat. On the other hand, the design of the chain drive of countless parts is more than confusing and the processing fails just at the point where you need clean castings, at least if you want to implement such an ambitious goal as a working folding function. 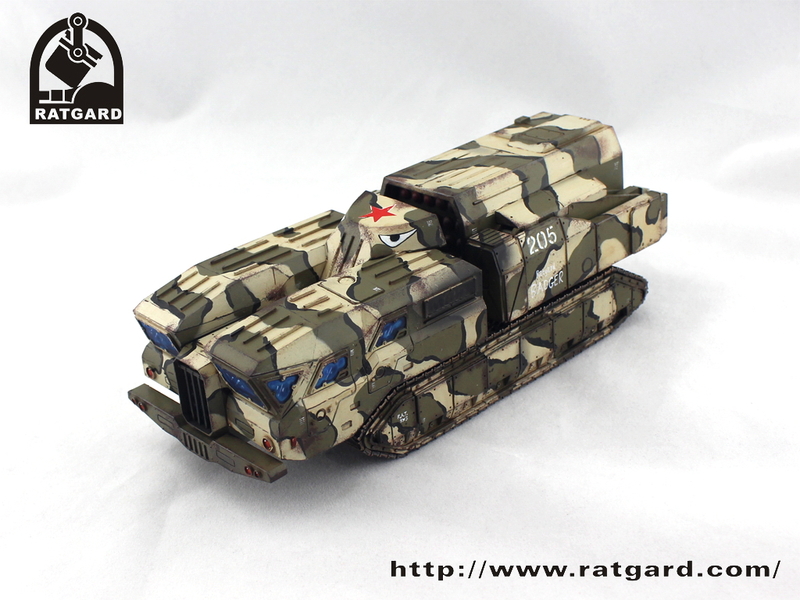 Finally, the RAT is but a really good model, which fits excellently into the human sci-fi army of a well-known English manufacturer and a safe alternative for those who might be precisely that the manufacturer can do much with the new chain transporter. $ 58 are not quite as low, but the model is made of resin, quite bulky and actually to transport in a position some models, what I see as an additional plus personally. Despite the small flaws and the partly complex assembly of the transporter gets so from me a buy recommendation. Anyone looking for a “grown-up” armored transport vehicle for his human sci-fi army is equipped with solid this model! R.A.T (Remodulelizable All Terrain) platform is the universal chassis of Ratgard.com. 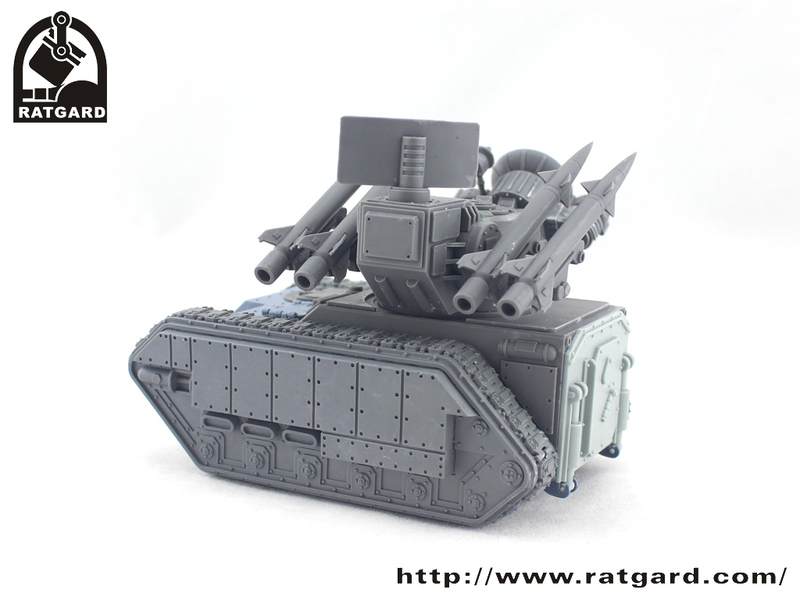 This is a platform of modulrized chassis with unlimited length extension capability, can be used to convert variants 28mm Sc-Fi vehicle. 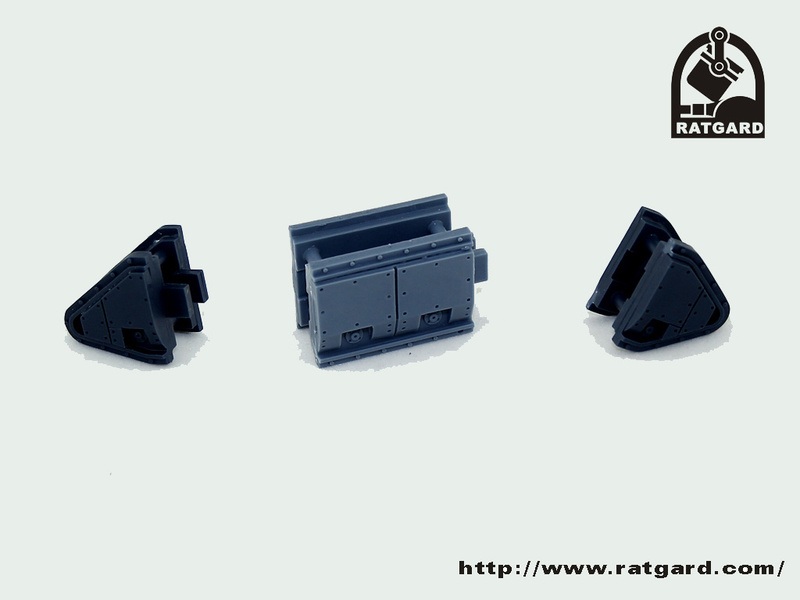 The new RAT Ob.2014 chassis is much lighter and easier to assemble. 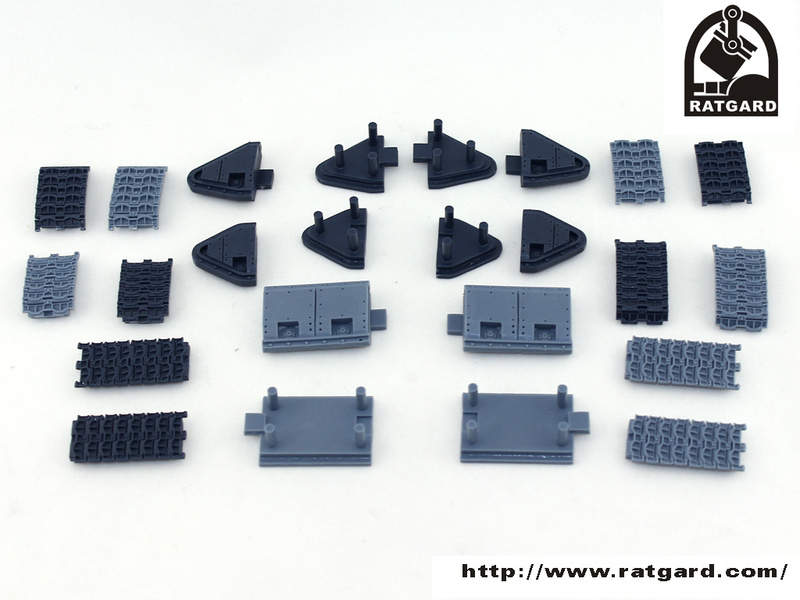 The R.A.T (Remodulelizable All Terrain) Platform set include a set of resin 3X3 R.A.T. This set is 38$, shipping to the worldwide, you can contact me with ratgard@gmail.com.